Alliance Developed with Leading Genomics Innovator, Synthetic Genomics Inc.
IRVING, Texas--(BUSINESS WIRE)--Exxon Mobil Corporation (NYSE: XOM) announced today an alliance with leading biotech company, Synthetic Genomics Inc. (SGI), to research and develop next generation biofuels from photosynthetic algae. “This investment comes after several years of planning and study and is an important addition to ExxonMobil’s ongoing efforts to advance breakthrough technologies to help meet the world’s energy challenges,” said Dr. Emil Jacobs, vice president of research and development at ExxonMobil Research and Engineering Company. ExxonMobil Research and Engineering Company has entered into a research and development alliance with SGI, a privately held company focused on developing genomic-driven solutions and founded by genome pioneer, Dr. J. Craig Venter, to develop advanced biofuels from photosynthetic algae that are compatible with today’s gasoline and diesel fuels. Under the program, if research and development milestones are successfully met, ExxonMobil expects to spend more than $600 million, which includes $300 million in internal costs and potentially more than $300 million to SGI. ExxonMobil’s engineering and scientific expertise will be utilized throughout the program, from the development of systems to increase the scale of algae production through the manufacturing of finished fuels. ExxonMobil, the largest publicly traded international oil and gas company, uses technology and innovation to help meet the world’s growing energy needs. ExxonMobil holds an industry-leading inventory of resources, is the largest refiner and marketer of petroleum products, and its chemical company is one of the largest in the world. 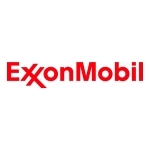 For more information, visit www.exxonmobil.com. SGI, a privately held company founded in 2005, is dedicated to developing and commercializing genomic-driven solutions to address global energy and environment challenges. Advances in synthetic genomics present limitless applications in a variety of product areas including: energy, chemicals and pharmaceuticals. The company's main research and business programs are focused on major bioenergy areas: designing advanced biofuels with superior properties compared to ethanol and biodiesel; harnessing photosynthetic organisms to produce value added products directly from sunlight and carbon dioxide; developing new biological solutions to increase production and/or recovery rates of subsurface hydrocarbons and developing high-yielding, more disease resistant and economic feedstocks. For more information, go to www.syntheticgenomics.com. CAUTIONARY STATEMENT: Business plans and expectations discussed in this release are forward-looking statements. Actual future results, including program plans, expenditures and schedules, and the development and commercialization of new technology and biofuels could differ materially due to changes in market conditions; regulatory developments; technological developments; technical or operating factors; the outcome of commercial negotiations; and other factors discussed under the heading "Factors Affecting Future Results" in the "Investors" section of our website (www.exxonmobil.com) and in Item 1A of our most recent Form 10-K.